Jewelry Making Tools by Xuron Corp.
Facebook Live: Are You Watching? If you’re on Facebook (and who isn’t these days), you’re likely familiar with Facebook Live broadcasting. Live broadcasts are just that, ‘live’. Media outlets are using this as are many businesses and individuals. What do I like about Facebook Live? 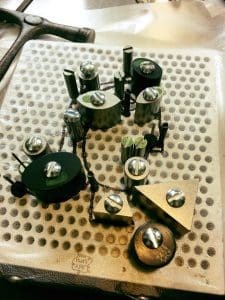 Wiring and electronics of a model railroad layout require a few basic skills and tools. 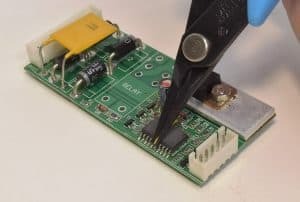 In recent years, the most-exciting model railroad innovation has been in the field of electronic control. Micro-size components allow the installation of incredibly sophisticated circuits inside small-scale locomotives. These circuits not only allow individual control of trains on the same track, but also provide realistic sounds that emanate right from the locomotive itself. The resulting realism creates a whole new dimension to model railroading. Have you met Kristal Wick? Kristal is an internationally award winning designer and official worldwide CREATE YOUR STYLE Swarovski Ambassador. She is a creative expert in numerous mediums; known for her work in silk, fibers, crystals, metal clay and much more. 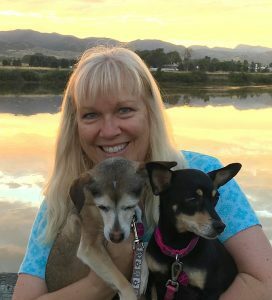 Additionally she is a talented singer, knitter and dog lover. 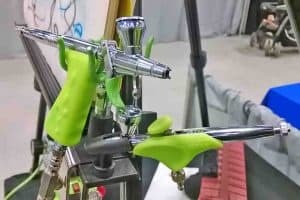 As a scale modeler I started like most of my peers with a variety of old fashion stick type paintbrushes to paint my models. Even today there are some aspects of scale model painting that require the use of a paintbrush. Before I really mastered the stroke of a paintbrush I was introduced to painting my models using spray cans of paint. What a time savings and a more realistic appearance (no brush marks) they provided. Model railroad track comes in a large assortment of lengths and curve radii. Even so, most track layouts still need some custom-sized pieces to fit together without kinks, and sections of flexible track need to have rails trimmed to length. 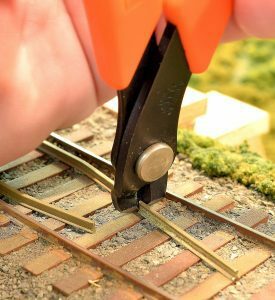 Cutting track to size is usually required, and modelers find it difficult to cut the metal rail . . . unless they have the right tools, like the Xuron® 2175B and 2175M Track Cutters. I agree to my submitted data being stored and used for distribution of this Xuron Corp. newsletter.